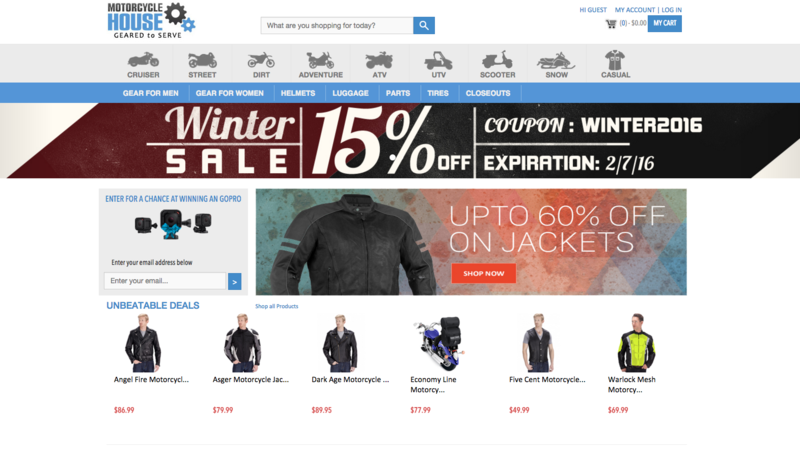 Motorcycle House, online motorcycle gear retailer (www.motorcyclehouse.com) asked me to review one of the gears they sell, and so I figured I’d ask for the 100% Barstow goggles. 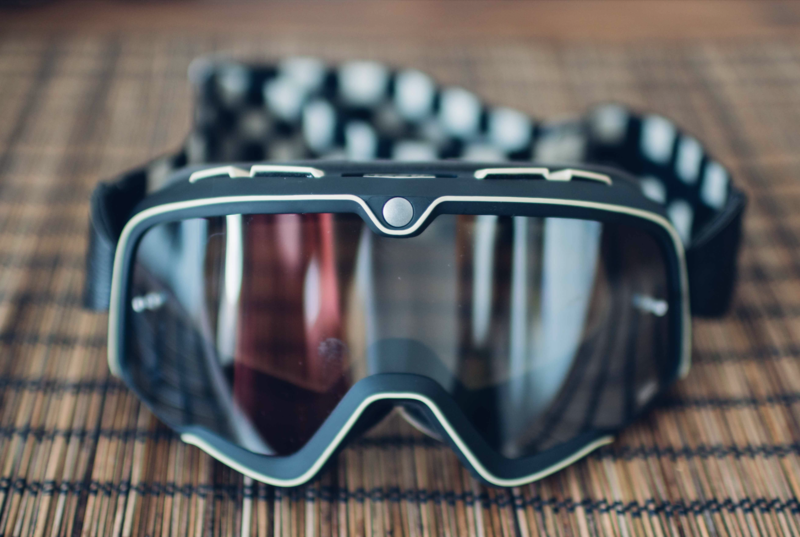 I haven’t had the chance to go ride with the goggles on (damn winter), so this is a first-impression review. 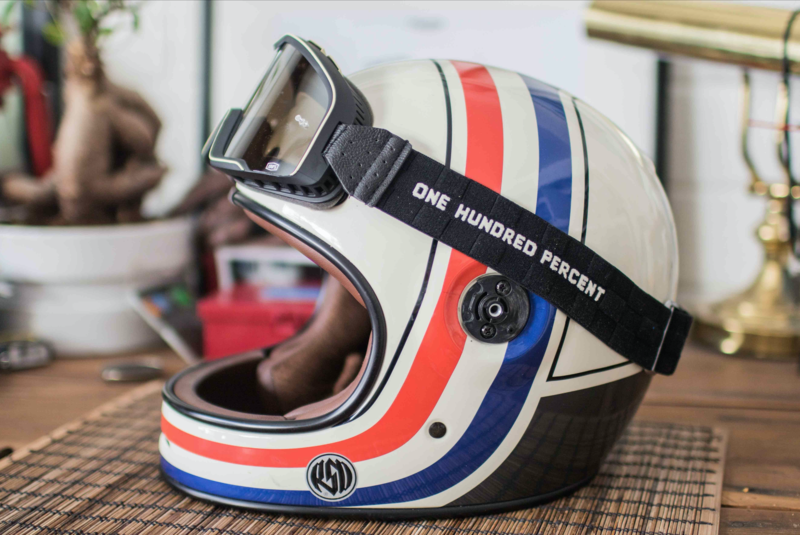 Ride One Hundred Percent is a legit dirt-racing goggle maker, but they also make retro/vintage styled goggles under the Barstow brand. 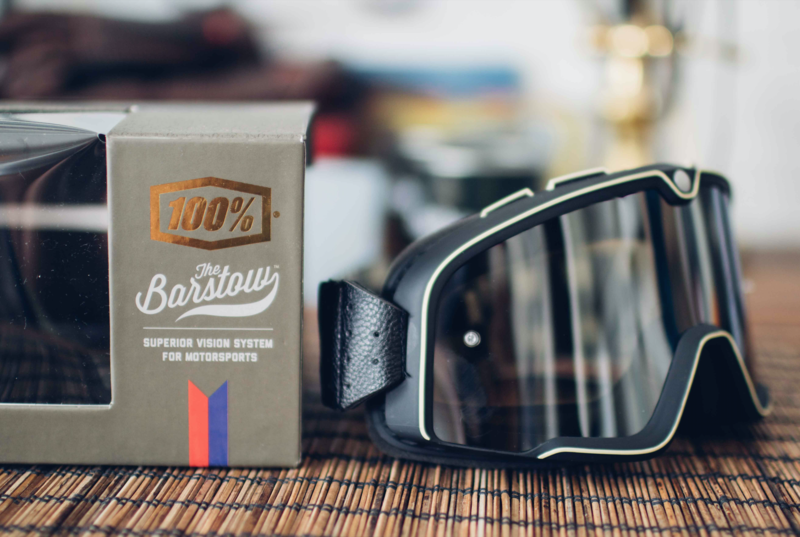 The 100% Barstow Classic Goggles, which is the one I have, is priced at $85 on Motorcycle House, and I think this is a very fair price for a pair of goggles. 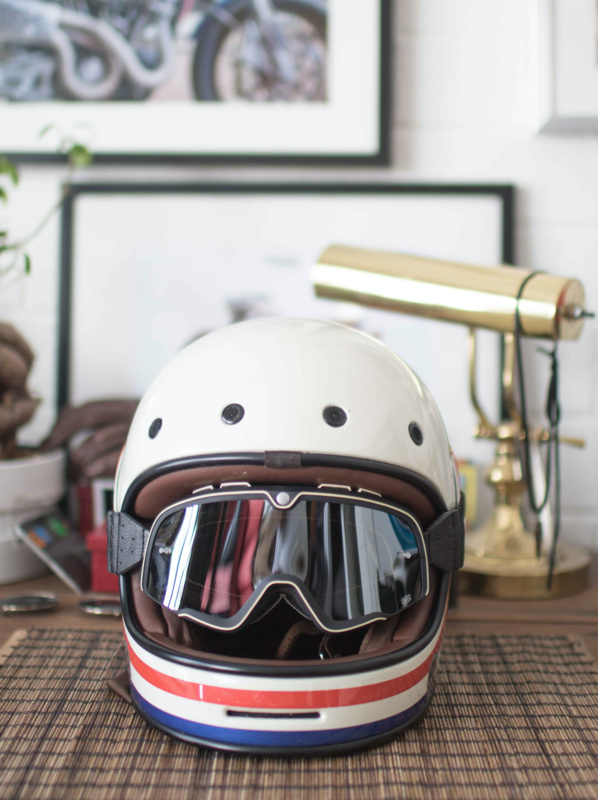 I really can’t compare the price to any competitor classic motorcycle goggle maker, because I’m not familiar with any other, but comparing it to ski goggles, this is a very average price. 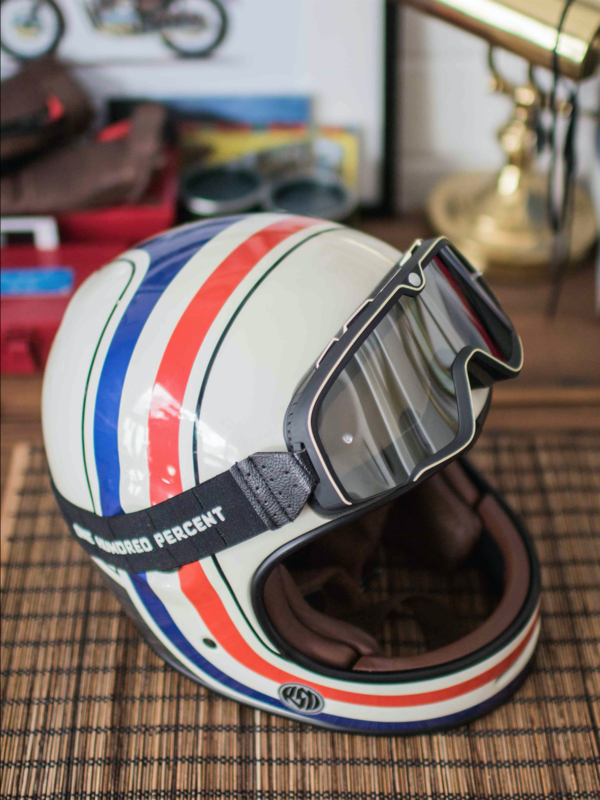 So in general, the Barstow Classic goggles have a very retro design that I think goes well with classic/custom, cafe racer style riders, except for the one I have. I actually asked for the goggles in white (bottom left) because I figured the white and blue stripes would go well with my Roland Sands Bullitt helmet, but I got the black one in mail instead. Don’t get me wrong, I’m not complaining, but as you can see from the photos below, the black design is much more simple and relatively plain compared to the white and red ones that are on sale. So on the down side, the black one I have (it’s actually called Checkers design) just looks like a very average-looking ski goggles. But on the upside, I think it goes well with any type and color helmets because of its plainness. Initial impression is that this is surprisingly comfortable over my Bell Bullitt helmet. I wear prescription glasses so goggles can be a hit or miss, but with the Barstow, I don’t feel the goggles pressing on my glasses while I’m wearing it. Furthermore, it’s relatively easy to pull the goggles away from your eyes to rest it on the forehead of your helmet while wearing it. This is the part I really can’t say much because I haven’t been able to use it on the road. Few things I’m concerned about is how well the goggles will insulate the wind coming into the eyes, and also if it will fog up in cooler temperatures. 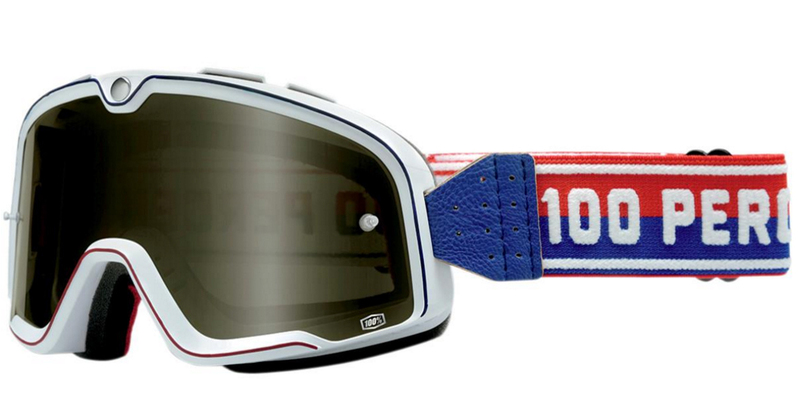 I think if these two things aren’t an issue, then these goggles would be an awesome pair to own. Overall first impression is positive. 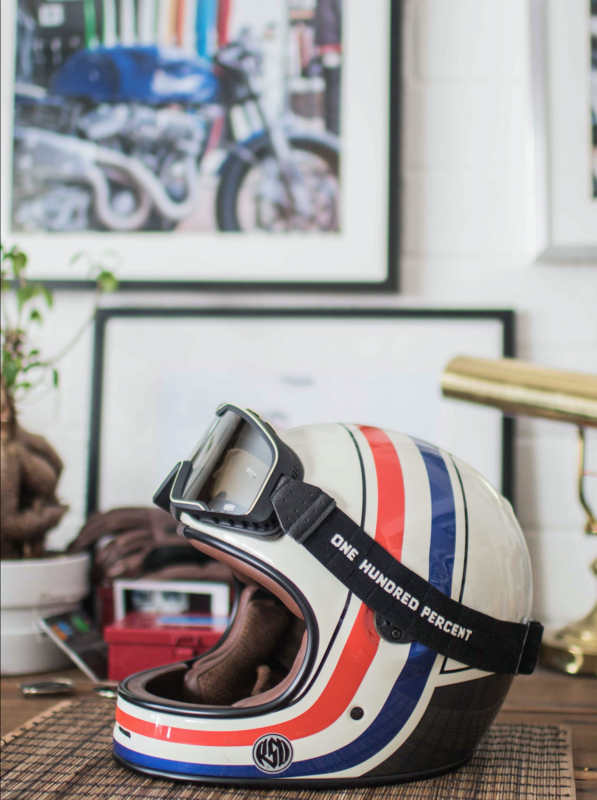 This is something I would purchase for myself for $85 (but not the black one), and I think it’s a cool gear to own to give some variety to your classic styled helmets. Great Look! What size is this Bullitt? 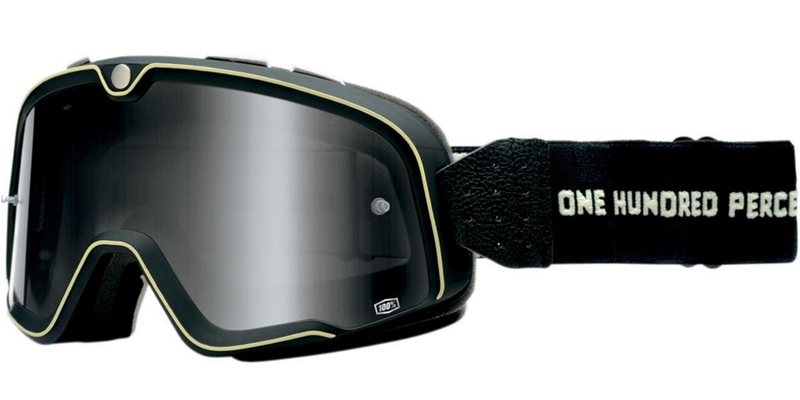 I’ve one in size M and I’m also interested in these goggles. Just wondering if the goggles fit in all helmet sizes because the smaller the helmet size, the smaller the whole fo the goggles. The Goggles definitely should fit in any size Bell helmet. 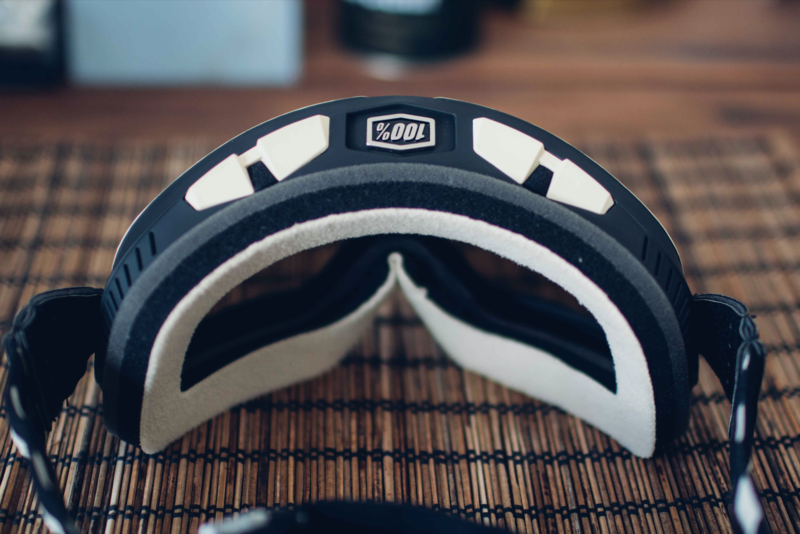 The helmet I have is the medium size, which is what is shown in the review.